The Putt Putt Pantry charity team building activity is a perfect blend of charitable aspects and challenging skill development activities carried out in an enjoyable, stress-free environment. It is everything your team needs to make serious inroads towards positive change. 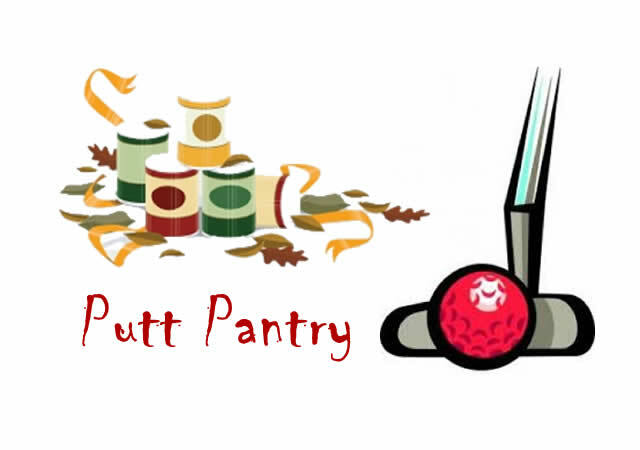 Putt Putt Pantry brings teams together to envision, create, organize and carry out a group project whose result will be donations of non-perishable food items. Our professional team building facilitators know just how to get things rolling and engage everyone in all the hands-on activities. Everyone contributes and teams learn that when everyone pitches in with ideas for a group project, success is even more attainable. In the Putt Putt Pantry team building activity, teams are asked to design a mini golf course. Then they are tasked with organizing themselves from the creative process of designing their golf courses to the more practical realm of building them. The building blocks of the mini golf course are actual non-perishable food items like boxed foods, canned foods, etc. That’s where teams must get a little creative! We have also built in special challenges, designed to show the value of a variety of ideas when it comes to brainstorming, communicating and accomplishing things as a team. At the end of the team building event your team hasn’t merely built a mini golf course, but they have also put into practice a variety of team building skills such as resource management, processing feedback, brainstorming, communication and organization. With the Putt Putt Pantry charity team building activity, your team will learn to work together in new and better ways. The team members will learn valuable workplace skills and gain personal insight about each other. Your organization will also have fulfilled some of its corporate social responsibility and helped to uplift the community.